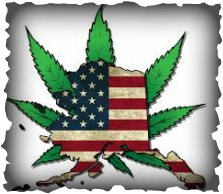 In an unprecedented race and a landmark victory Alaska will join Oregon, Colorado, and Washington as the 4th state to legalize recreational cannabis in the United States with 52% of voters supporting Measure 2. 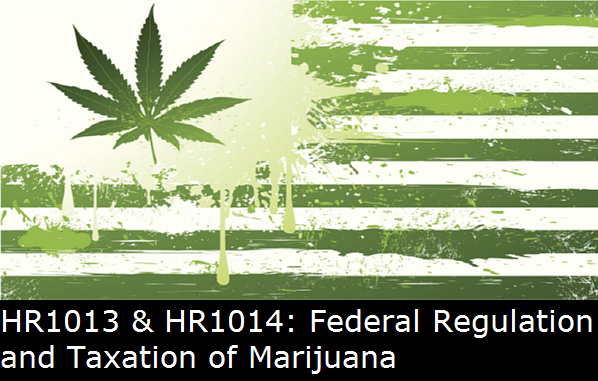 Other legislation approved includes Washington DC voting yes for recreation marijuana, Guam supporting medical cannabis, and 4 decriminalization initiatives passing in Michigan. This year’s elections come during the midst of an unprecedented case that c0uld result in the imminent reclassification of marijuana as a schedule 1 controlled substance; this case is being heard by a federal judge in the Eastern District of California in what is shaping up to be a landmark victory. Although Florida voters failed to achieve the 60% vote required to pass, they did receive over 50% support towards their medical cannabis legislation. Feds Back Off: Obama Administration Recognize States Rights! August 29, 2013, Attorney General Eric Holder made the call to the governors of Washington and Colorado informing them that the Justice Department would not block the state’s implementation of voter passed legal recreational marijuana programs. Justice will cooperate with the states, even though federal law still prohibits the possession, cultivation, and distribution of cannabis under almost all circumstances. (Cannabis is grown by the government for research, and provided to four or five patients under the compassionate IND program of the Food and Drug Administration.) To carry out this policy, Deputy Attorney General James M. Cole issued a four-page memorandum to all United States attorneys. This is a tremendous political victory for the millions of Americans who have been working to end marijuana prohibition. It was set up by the votes in Washington and Colorado last November when more than 55 percent of voters in those states approved initiatives to legalize the production and distribution of recreational marijuana under strict controls and taxation in those states. After decades of struggle by NORML (National Organization for the Reform of Marijuana Laws), DPA (Drug Policy Alliance, formerly the Drug Policy Foundation), ACLU (American Civil Liberties Union), and MPP (Marijuana Policy Project) the foundation had been laid for those votes. Countless citizen activists associated with those groups, and newer organizations such as stopthedrugwar.org, SSDP (Students for Sensible Drug Policy), LEAP (Law Enforcement Against Prohibition), SAFER, and Marijuana Majority just to name a few, and risk omitting many who played essential roles, helped create the political and legal climate in which the Obama administration and Justice Department were compelled to retreat. This decision will unleash enormous energy to adopt marijuana legalization programs in other states. In almost every state legislature, bills will be introduced. In many states, citizens will begin to gather signatures to put cannabis legalization on the ballot. While some of these measures will be unsuccessful initially, in the next decade, those in most of America and many parts of the world are going to be living with legal marijuana. Today's announcement accelerates the entire timetable for marijuana law reform. Energy must now be directed to developing the appropriate social controls for legal marijuana. We have seen very positive changes in how we behave with alcohol and tobacco. Social norms that effectively discourage young people from marijuana use, especially heavy use, need to be developed and propagated. We need to anticipate the risks that commercialization of marijuana pose in the promotion of brands and advertising that encourages heavy or inappropriate use. Importantly, this announcement and memorandum explicitly further legitimizes state experimentation with marijuana distribution for medical purposes. Unfortunately, they do not transfer marijuana from Schedule I of the Controlled Substances Act to a schedule recognizing its medical legitimacy. That is an important development that must be taken to expedite the delivery to the public of marijuana as a medicine in a way that doctors can know what their patients will be using, and which will expand the opportunity to refine dosage and cannabinoid profiles. Maryland's health authorities hope to use its medical marijuana program that takes effect on Oct. 1, 2013 to build this research base. Those who remain wary of the idiosyncratic prosecutorial practices in U.S. Attorney offices around the country will focus on the last paragraph of the memorandum that affirms that federal law regarding marijuana remains valid and any violation may be investigated and prosecuted where it "serves an important federal interest." As those of us who have observed the waves of federal raids against dispensaries in California, Michigan, Montana, Washington and Colorado, federal prosecutors and DEA agents have used the federal law to harass and persecute doctors and medical marijuana providers. Hopefully, those days are over! Justice warns that these systems must be carried out in practice, that the states "provide the necessary resources" and "enforce their laws and regulations in a manner that ensures they do not undermine federal enforcement priorities." This announcement is historic noting the recognition by the U.S. Department of Justice, which has been the primary obstacle for reform of marijuana laws for 40 years. This shows that the political reality has changed. Sadly, there are tens of thousands of persons in prison today for using, growing, and distributing marijuana. The number of those imprisoned for marijuana is going to start coming down. We need to call upon President Obama and the governors of the various states to start systematically commuting the sentences of marijuana prisoners. State prosecutors need to stop seeking prison or jail sentences for marijuana offenders. In cities across the nation, mayors and city councils must direct their police departments to stop marijuana possession arrests. Today, it is profoundly important to recognize that the Obama administration has joined the rapidly growing consensus that there is no moral justification for punishing marijuana use and those who provide marijuana to adult users. After speaking with Senator Chuck Winder on February 15, 2013 at approximately 4:00 pm I have made the conscious decision to submit my testimony on RS 21862 and 21872 via e-mail as I will not be able to make it to the committee meeting at 8 am on Wednesday the 20th. I ask that my testimony, and the evidence provided be presented, and taken into consideration at this hearing. For this testimony I would like to direct my attention to part (B) of this schedule. This states that marijuana, as a Schedule I substance, has no accepted medicinal value in the United States. This is simply not true as there are multiple patents on medical marijuana; one in particular is held by the United States of America, as represented by the Department of Health and Human Services. This is Patent No. 6,630,507, which I have taken the liberty of adding for the committee. This patent shows the many uses of cannabinoids which are found in marijuana/cannabis. What are cannabinoids though? One learns in biology that the human body has many systems; the circulatory, respiratory, digestive, and nervous systems to name a few. Each system of the human body has parts. For example, the nervous system is made up of the brain, spinal cord, and nerves. By the late 1980s, science identified a new human system known as the endocannabinoid system (ECS). This system present in all mammals, which includes humans and 15,000 other species. A mammal is any vertebrate animal distinguished by self-regulating body temperature, hair, and milk-producing females. The ECS has two main parts: cannabinoids, which are chemical neurotransmitters, and two receptors called “CB1″ and “CB2.” Cannabinoids activate receptors found throughout the body; in all organs, for example. In fact, all systems in our bodies are modulated by the endocannabinoid system. This means that as a body system changes, it uses the ECS to do so. Science has defined three classifications of cannabinoids. These are “endogenous cannabinoids” (endocannabinoids), which are produced by the human body; herbal cannabinoids, or the found in the cannabis sativa/indica plants (marijuana); and synthetic cannabinoids, normally produced and distributed by pharmaceutical companies, but also found in spice, k-2, or herbal incense (on one end of the spectrum these are deemed highly dangerous, on the other very valuable). Use of cannabinoids found in marijuana/cannabis is covered under Patent No.6,630,507. Since no one has been arrested for patent infringement, this is therefore called "Easement." The non-action of law enforcement enforcing this patent technically allows legal use of cannabis in all forms. When two Federal Agencies who receive federal tax dollars, claim different facts, the only facts which are true are contained under U.S. Patent laws, and not made up by the DEA. Making marijuana/cannabis legal is not about letting people smoke a natural non-toxic substance. It is about creation of jobs, making an already existing industry legal, and providing safe access to the world’s least harmful medicine. It is a crime to keep the marijuana/cannabis laws on the books, since the laws were created using fraud for “profit” and lies about its true uses; such as providing safe medicine, powering our cars, feeding the poor, clothing the world, and cleaning our skies of air pollution amongst thousands of other uses. Federal Legalization Bill Could Attract Bi-partisan Support! Although the democrats in Congress may be the leader on marijuana reform; Colorado Rep. Jared Polis, the Democrat who introduced a bill this week that would make the federal government treat cannabis the way it treats alcohol, says Republicans should see a lot to like in his bill. First, there is the appeal to fiscal conservatives; “Anybody who cares about the budget deficit needs to look at all potential sources of revenue,” Polis told Salon in an interview. Polis and fellow co-sponsor Rep. Earl Blumenauer, a Democrat from Oregon, estimate that their proposal could raise $20 billion a year in new taxes on cannabis sales. There is also the issue of states’ rights and local control; “Somebody can want to keep marijuana illegal in their state or in their county, but all this does is keep the federal government out of it and lets states and counties decide how to treat it within their borders. That’s really the focus of our effort,” he explained. Polis hails from Colorado, where voters in November approved a similar tax-and-regulate regime. “The libertarian ethos of Colorado, our proud culture of independence, make this a very popular issue that cuts across party lines,” he said. Polis and Blumenauer’s bill is based on a bill originally introduced by Democratic Rep. Barney Frank and Republican Rep. Ron Paul, both of whom have left Congress. “It’s absolutely a bipartisan bill. I think it appeals across the ideological spectrum. This had a lot of support for Republicans, Democrats, and Independents in Colorado,” he said. Polis says he has been surprised at how quickly support has grown for reform both within Congress and outside. “Even from when I started in Congress just four years ago, there’s been increasing support and recognition that the drug war is failing,” Polis said. Still, for lawmakers who hail from states that have not enacted medical marijuana or legalization statutes, “it’s still a non-issue, so it’s harder to get it on their agenda.” Polis encouraged people who care about this issue to put it on their lawmakers’ agenda by calling their offices, raising the issue at town halls, and appealing to Republicans in language they can understand. Idaho...Jumping Off the Deep End! February 8th, 2013 there were two RS's introduced in the Senate Affairs Committee. They were RS 21862 and 21872. One is to “permanently ban” marijuana from Idaho, in all forms. The other is to demand that the Federal Government enforce its laws that and crack down federally. “We will need this meeting to be PACKED and it will be very short notice. Please e-mail me at lindseyrinehart@compassionateidaho.org to have your phone number placed on a Text list for when this goes to committee. We Need as many supporters of medical marijuana there as possible.” Lindsey Rinehart. Thank you Lindsey for sharing this information and allowing me to have it published on other sites. I look forward to our continued work in the future, and watching our relationship grow into some beautiful buds….no pun intended, or was there? You decide. An effort is currently building in Congress to change the United States cannabis laws. This effort includes moves to legalize the industrial production of hemp and establish a hefty federal marijuana tax. While passage this year may be a long shot, lawmakers from both parties have been quietly working on several bills; the first of which Democratic Rep. Earl Blumenauer of Oregon and Rep. Jared Polis of Colorado plan to introduce Tuesday. Polis' measure would regulate cannabis in a manner similar to the way the federal government handles alcohol. In states that legalize pot, growers would have to obtain a federal permit. 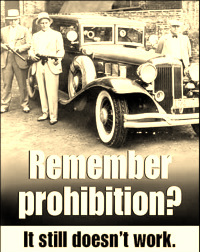 Oversight of marijuana would be removed from the DEA (Drug Enforcement Administration), and be given to the newly renamed Bureau of Alcohol, Tobacco, Marijuana, and Firearms. It would remain illegal to bring marijuana from a state where it is legal to a state where it is not legal. The bill is based on a legalization measure previously pushed by former Rep. Barney Frank of Massachusetts and former Rep. Ron Paul of Texas. Blumenauer's bill would create a federal cannabis excise tax of 50 percent on the "first sale" of marijuana, typically, from a grower to a processor or retailer. It also would tax cannabis producers or importers $1,000 annually and other marijuana businesses $500. His office said Monday it does not yet have an estimate of how much the taxes might bring in; but a policy paper Blumenauer and Polis are releasing this week suggests, based on admittedly vague estimates, that a federal tax of $50 per ounce could raise $20 billion per year. They call for directing the money to law enforcement, substance abuse treatment, and the national debt. Last fall's votes in Colorado and Washington State to legalize recreational marijuana should push Congress to end the 75-year federal cannabis prohibition, Blumenauer said. Washington state officials have estimated that its legal marijuana market could bring in about half a billion dollars per year in state taxes. "You folks in Washington and my friends in Colorado really upset the apple cart," Blumenauer said. "We're still arresting two-thirds of a million people for use of a substance that a majority feel should be legal...It's past time for us to step in and try to sort this stuff out." Advocates who are working with lawmakers acknowledge it could take years for any changes to get through Congress, but they are encouraged by recent developments. Senate Minority Leader Mitch McConnell last week came out in support of efforts to legalize hemp in his home state of Kentucky, and U.S. Rep. Dana Rohrabacher, R-California, is expected to introduce legislation allowing states to set their own policy on cannabis. Senate Judiciary Chairman Patrick Leahy, D-Vermont, has indicated he plans to hold a hearing on the conflict between state and federal marijuana laws and has urged an end to federal "mandatory minimum" sentences that lead to long prison stints for drug crimes. "We're seeing enormous political momentum to undo the drug war failings of the past 40 years," said Bill Piper, director of national affairs for the Drug Policy Alliance, who has been working with lawmakers on cannabis-related bills. "For the first time, the wind is behind our back." The Justice Department has not said how it plans to respond to the votes in Washington and Colorado. It could potentially sue to block the states from issuing licenses to marijuana growers, processors, and retail stores on the grounds that doing so would conflict with federal drug law. Blumenauer and Polis' paper urges a number of changes, including altering tax codes to let marijuana dispensaries deduct business expenses on federal taxes, and making it easier for cannabis related businesses to get bank accounts. Many operate on a cash basis because federally insured banks will not work with them, they noted. Blumenauer said he expects to introduce the tax-code legislation as well as a bill that would reschedule marijuana under the Controlled Substances Act, allowing states to enact medical cannabis laws without fear that federal authorities will continue raiding dispensaries or prosecuting providers. It makes no sense that marijuana is a Schedule I drug, in the same category as heroin and a more restrictive category than cocaine, Blumenauer said. The measures have little chance of passing, said Kevin Sabet, a former White House drug policy adviser. Sabet recently joined former Rhode Island Rep. Patrick Kennedy, former President George W. Bush, and speechwriter David Frum in forming a group called Project SAM, for "smart approaches to marijuana," to counter the growing legalization movement. Sabet noted that previous federal legalization measures have always failed. "These are really extreme solutions to the marijuana problem we have in this country," Sabet said. "The marijuana problem we have is a problem of addiction among kids, and stigma of people who have a criminal record for marijuana crimes.” "There are a lot more people in Congress who think that marijuana should be illegal but treated as a public health problem, than think it should be legal."